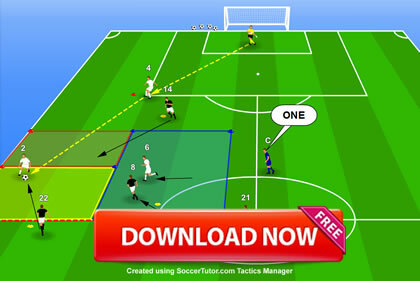 There are 54 tactical analysis topics which have been used to produce 12 sessions (40 practices) including functional practices, opposed/unopposed zone play, game situations, transition games and small sided games. As the impressive stats tell you, Juventus are a very successful defensive team. They focus on maintaining a numerical advantage at the back, pressing to force the ball wide, tightly marking all potential receivers, keeping a compact formation and blocking through passes. 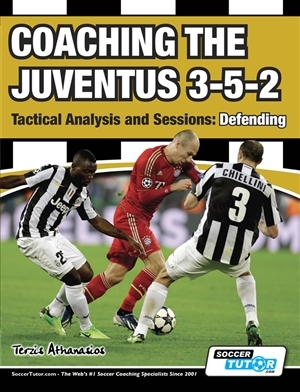 This book will enable you to coach your team to defend like one of the most successful defensive teams in Europe and shows you how exactly how Juventus defended, providing the positioning and movement of the players in all possible game situations.